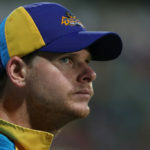 Steve Smith sat down for an interview on his return to the Rajasthan Royals for the 2019 IPL campaign. Cricket Australia has confirmed that David Warner and Steve Smith will not play against Pakistan, but rather in the IPL in order to first regain match fitness for the World Cup. Steve Smith’s elbow surgery puts him in doubt for Australia’s final ODI series before the World Cup. Steve Smith reveals all to Adam Gilchrist in an exclusive interview on Fox Sports. Former Aussie skipper Steve Smith looked horribly out of sorts during an impromptu net session against the Australian pace attack of Josh Hazlewood, Pat Cummins and Mitchell Starc in the SCG nets. It certainly would have given the bowlers confidence ahead of the first Test against India. 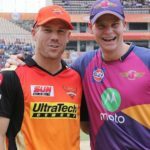 The Australian public still holds disgraced cricket stars Steve Smith and David Warner in the highest regard, judging by the huge turnout at a grade game in Sydney when the two stars played against each other on Saturday. 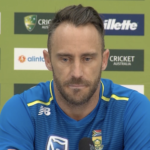 Proteas captain Faf du Plessis has revealed that he reached out to Steve Smith and David Warner after the Newlands ball-tampering scandal. 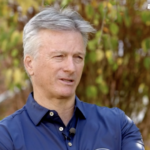 Steve Waugh believes that a lenient approach by the authorities played a big role in the ball-tampering scandal at Newlands, along with the players ‘living in a bubble’. 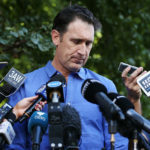 James Sutherland, the outgoing CEO of Cricket Australia, has revealed that he turned off the TV and went to bed before Cameron Bancroft whipped out the sandpaper in the Newlands Test earlier this year. Former captain Steve Waugh is hopeful that banned Steven Smith eventually returns to the Australian team. Former Australia skipper Steve Smith has withdrawn from the rest of the 2018 CPL due to an abdominal strain. Steve Smith inspired the Barbados Tridents to a great win over Guyana Amazon Warriors, but Raymon Reifer stole the day. David Warner has just been appointed as captain of the Winnipeg Hawks, putting a ‘c’ back in front of his name on the team sheet. In my opinion, it’s the wrong ‘c’. Players convicted of ball-tampering could be suspended for up to six Test matches or 12 ODIs, under new guidelines adopted by the ICC. David Warner’s disappointing comeback continued on Sunday when he hit four off six balls for Winnipeg Hawks in a six-wicket defeat to Vancouver Knights at the Canada T20 league.